After he was “indicted on one count of Murder in the First Degree, two counts of Attempted Robbery in the First Degree, one count of Conspiracy in the Second Degree, and two counts of Possession of a Firearm during the Commission of a Felony”, all in violation of Delaware law, Jermaine M. Zachary filed a motion in limine in which he argued that certain evidence should not be admitted at his trial. State v. Zachary, 2013 WL 3833058 (Superior Court of Delaware 2013). As Wikipedia explains, a motion in limine is a motion a party to a civil or criminal case files, prior to trial, asking the judge to admit or exclude certain evidence. Brady told police they drove to the residence with $1,800. When they arrived at the residence, [Zachary] got into the rear passenger seat of the vehicle and asked Brady if her vehicle was for sale. no arrests were made in the case until July 2012, when Detective Mark Ryde, who had been recently assigned to the case, reviewed [Zachary’s] cellular phone records. Ryde discovered a series of text messages exchanged by [Zachary] and the user of a prepaid cell phone number with the number 202–236–4884 (hereinafter `the 202 number’) between 12:20 p.m. and 12:48 p.m. on the day of Watkins' death. The State alleges that these text messages are strong circumstantial evidence that [Zachary] conspired with the user of the 202 number, which the State purports was the alleged shooter, to rob Watkins and Brady. State v. Zachary, supra. In a footnote, the court explains that since the “alleged shooter has not been charged for his role in Watkins' death”, the court will “abstain from identifying this individual by name.” State v. Zachary, supra. both prove the existence of a conspiracy to rob the victim and his girlfriend, and serve as statements made in furtherance of that conspiracy. Thus, the State argues that the text messages are highly relevant, and that their probative value is not outweighed by their prejudicial effect. [indispensable condition precedent to the admissibility of documentary evidence. D.R.E. 901(a). This requirement is satisfied when the proponent of the writing or document in question produces evidence `sufficient to support a finding that the matter in question is what its proponent claims.’ D.R.E. 901(a). Potential methods of authentication are illustrated in Rule 901(b). The most germane to the present case is found in D.R.E. 901(b)(4), which provides that a finding of authenticity may be based entirely on circumstantial evidence, including the document's `[a]ppearance, contents, substance, internal patterns, or other distinctive characteristics, taken in conjunction with the circumstances.’ Proof of authorship need not be conclusive, but a prima facie showing of the author's identity must be established for the writing to be admissible. State v. Zachary, supra (quoting U.S. v. Sinclair, 433 F.Supp. 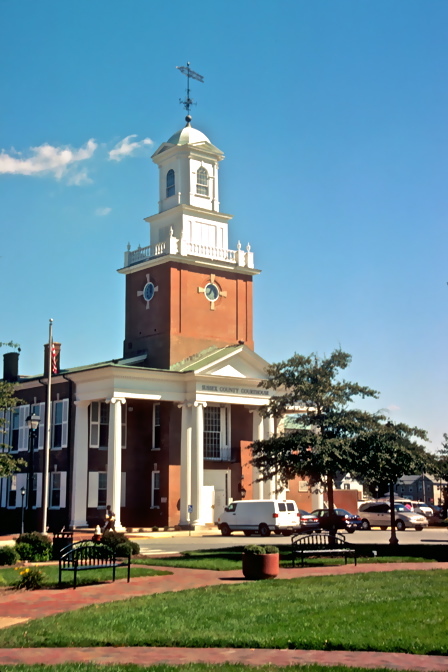 1180 (U.S. District Court for the District of Delaware 1997)). Whether text messages are subject to the same authentication requirements under D.R.E. 901 as other electronic documents appears to be a somewhat novel question of law in this jurisdiction. Thus, I find it helpful to consider the decisions of other courts that have addressed this issue. For example, in Commonwealth v. Koch, 39 A.3d 996 (2011), the Superior Court of Pennsylvania considered the authentication of text messages transcribed from the defendant's cellular phone. The court held that the police detective's description of how he transcribed the text messages from the defendant's cell phone, together with his representation that the transcription was an accurate representation of the text messages on the phone, was insufficient to authenticate the identity of the author as the defendant. Thus, some additional evidence, `which tends to corroborate the identity of the sender, is required.’ Circumstantial evidence corroborating the author's identity may include the context or content of the messages themselves, such as where the messages `contain[ ] factual information or references unique to the parties involved.’ Other jurisdictions have also looked to the context and content of the messages for sufficient circumstantial evidence of their authorship. State v. Zachary, supra (quoting Commonwealth v. Koch, supra). The judge found the reasoning of Koch persuasive, noting that “[e]stablishing the identity of the author of text messages through the use of corroborating evidence is critical to satisfying the authentication requirements of D.R.E. 901.” State v. Zachary, supra. He therefore found that to have the messages admitted at Zachary’s trial, the prosecution, “as the proponent of the text-message evidence, must explain the purpose for which the text messages are being offered and provide sufficient direct or circumstantial evidence corroborating their authorship to satisfy the requirements of D.R.E. 901.” State v. Zachary, supra. intends to offer the text messages both as evidence that [Zachary] conspired with the alleged shooter to rob Watkins and Brady, and as statements of co-conspirators. As such, the messages are only relevant to the extent that the State can authenticate that [he] authored all of the outgoing messages and that the alleged shooter authored the incoming messages. Glaringly absent in this case is any evidence tending to substantiate that the alleged shooter wrote the 202 messages. In the present case, authentication requires more than mere confirmation that the 202 number belongs to a particular person. Indeed, the 202 number was issued to a prepaid cell phone, and, therefore, had no registered owner or user associated with it. Thus, the State must rely on circumstantial evidence to corroborate that the alleged shooter authored the 202 messages.